Into The Echoside társasjáték - Magyarország társasjáték keresője! A társasjáték érték! Az Into The Echoside egy kiváló társasjáték, 2 - 4 játékos részére, az átlagos játékidő rövidebb, csak 30 - 60 perc. A társast, 13 éves kortól ajánljuk kipróbálni. A játékmenet erősen épít a pakli építés mechanizmusra. 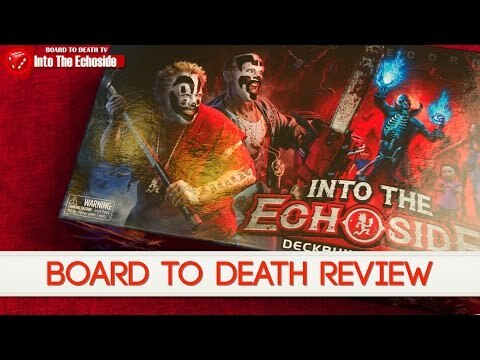 Into the Echoside features game play and a theme that is unique to any other deck building game. 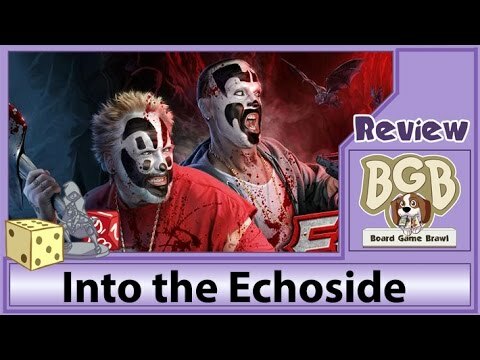 It includes everything you need to play including a game board, 12-sided die, rulebook and over 220 cards that pay homage to everything Juggalos love. There are 6 different types of cards in the game (Dark Carnival, Psychopathic, Underground, Item, Fiend and Epic) each one representing a person, character, song or thing from the Juggalo world. 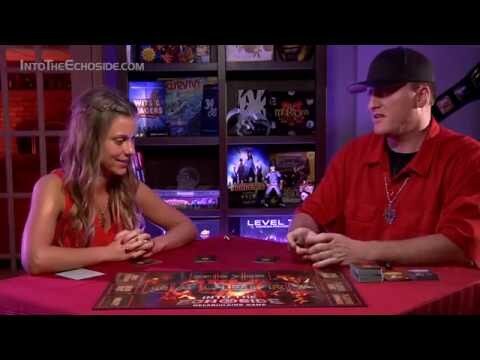 There are such cards as Juggalos, Moon Glorious, Vera Lee, Mr. White Suit, The Riddle Box, Rude Boy, DJ Clay, Psychopathic Rydas, Whitney Peyton, Kottonmouth Kings, Boondox, Jamie Madrox, Black Eyed Children, Murder Cloak, Chuck the Chainsaw, Cartoon Nightmares, Mr. Rotten Treats and Boogie Man just to name a very very few! Players will have the opportunity to wield the powers bestowed upon them by some of their favorite artists and characters!